American politics is undergoing seismic changes that will alter the course of history. As hosts of Words Matter, Katie Barlow and Joe Lockhart believe that facts, evidence, truth and objective reality are necessary and vital in public discourse. Katie and Joe have broad experience in government, politics and journalism -- this gives them a unique ability to explain recent events and place them in historic context. Together, with fellow journalists, elected officials, policy-makers and thought-leaders, they will analyze the week's news and get at the real truth behind all the distracting headlines. New episodes released Mondays. Produced and recorded out of The Hangar Studios, NYC. Linda Brown was in the third grade when her father Oliver tried to enroll her in Sumner Elementary School in Topeka Kansas. Oliver and his daughter Linda were denied admission to the school that day. The year was 1950. Sumner was an all-white school. And Linda attended the school for black children across town. Separate but equal ruled the day in America. The moment Linda was turned away, it started a series of events that toppled the idea of separate but equal and led her all the way to the steps of the Supreme Court of the United States. Linda's father was the named plaintiff in the landmark case Brown v. Board of Education. This week, we give education pioneer and civil rights icon Linda Brown, the final word. With the Mueller Investigation over and his report delivered to the Attorney General, the battle moves to Capitol Hill. Katie and guest host Joe Lockhart talk with former state and federal prosecutor Elie Honig. As a federal prosecutor in the Southern District of New York, Elie directed major criminal cases against organized crime, street gangs, drug traffickers, corrupt public officials, child predators and white collar criminals. Elie is the executive director of the Rutgers Institute for Secure Communities at Rutgers University. And in his spare time Elie is a CNN legal analyst where he just launched "Cross-Exam" a new weekly column. Last week we talked to Former White Press Secretary Joe Lockhart about the news of the day how the Mueller investigation operates differently than the Starr investigation operated and how the White House in crisis battles with a hostile Congress and communicates with the press and the American people. Our listeners wanted to hear more -- so we invited him back. Joe served as the 19th White House Press Secretary under President Bill Clinton from 1998-2000. In 1999, Joe became the only White House Press Secretary in American history to serve during the Senate Impeachment Trial of a US President. Later Joe co-founded the Glover Park Group and went on to serve as Senior Vice President of the National Football League. Joe is currently a CNN political analyst and Vice Chairman of Edelman Public Relations. The month of March is international women's history month and we recently celebrated International Women's Day. Black history month just ended in February -- and so in honor of both, Katie will be highlighting some outstanding women in this space. This week...Charlayne Hunter-Gault is an Emmy award winning investigative journalist and recipient of 2 Peabody Awards. But before any of that, she was the first black woman to attend the University of Georgia in the segregated South in 1961. Charlayne Hunter-Gault graduated with a degree in journalism in 1963. She went on to work for the New York Times ,The NewsHour With Jim Lehrer and worked as NPR's chief correspondent in Africa for many years. She's also an author. She wrote in my place a memoir about her experiences at the University of Georgia. Charlayne Hunter-Gault is a pioneer and paved the way for many women in journalism and education. Joe Lockhart served as the 19th White House Press Secretary under President Bill Clinton from 1998-2000. In 1999, Joe became the only White House Press Secretary in American history to serve during the Senate Impeachment Trial of a US President. Later Joe co-founded the Glover Park Group and went on to serve as Senior Vice President of the National Football League. Joe is currently a CNN political analyst and Vice Chairman of Edelman Public Relations. We talk to Joe about his recent CNN appearance with former Independent Counsel Ken Starr and how far he thinks Donald Trump is on the path toward Impeachment. And Katie has a Final Word on legendary journalist and civil rights pioneer Charlayne Hunter-Gault. The Pulitzer Prize-winning journalist Charlie Savage is a Washington correspondent for The New York Times. He is also the author of “Power Wars,” published in 2015, an investigative history of national-security legal policymaking in the Obama administration, and “Takeover,” published in 2007, which chronicles the Bush-Cheney administration’s efforts to expand presidential power. Katie Barlow is the Host of Words Matter. She is a lawyer and the Founder and Editor of DC Circuit Breaker which provides news and analysis on the US Court of Appeals for the District of Columbia. As a journalist, Katie has covered Capitol Hill with WTOP, including Justice Elena Kagan’s confirmation hearing, as well as the Supreme Court with NPR’s Nina Totenberg. As a lawyer, her practice includes civil litigation and white-collar defense with a focus on the Anti-Terrorism Act. She received dual degrees in political science and broadcast journalism from the University of Georgia and a J.D. from Georgetown Law. Katie is a longtime lover of Washington, DC. If she is not solo traveling around the globe, you can often find her running down the mall with her 90-pound black standard poodle, Beau. This week, new host Katie Barlow interviews Vanity Fair special correspondent William D. Cohan as her first episode of Words Matter. Bill is former senior Wall Street M&A investment banker for 17 years and is the New York Times bestselling author of three non-fiction narratives about Wall Street. His latest book Why Wall Street Matters is a must read for anyone trying to understand the political and policy issues at stake in the 2020 elections. Bill also writes for The Financial Times, The New York Times, Bloomberg BusinessWeek, The Atlantic, The Nation, Fortune, and Politico. This week we add Why Wall Street Matters By William D. Cohan to the Words Matter Library Bill is former senior Wall Street M&A investment banker for 17 years and is the New York Times bestselling author of three non-fiction narratives about Wall Street. Bill is also a special correspondent at Vanity Fair. He also writes for The Financial Times, The New York Times, Bloomberg BusinessWeek, The Atlantic, The Nation, Fortune, and Politico. Washington Post Columnist Max Boot is the Jeane J. Kirkpatrick Senior Fellow in National Security Studies at the Council on Foreign Relations and a Global Affairs Analyst for CNN. In his latest book, The Corrosion of Conservatism: Why I Left the Right, Max details his ideological journey from a “movement” conservative to a man without a party, beginning with his political coming-of-age as a young émigré from the Soviet Union, enthralled with the National Review and the conservative intellectual tradition of Russell Kirk and F. A. Hayek. Against this personal odyssey, Boot simultaneously traces the evolution of modern American conservatism, jump-started by Barry Goldwater’s canonical The Conscience of a Conservative, to the rise of Trumpism and its gradual corrosion of what was once the Republican Party. Steve sits down with Elise and Adam in his first podcast interview since Howard Schultz announced on 60 Minutes that he was "seriously considering" an independent bid for President of the United States. In 2019, a billionaire thinking about running for president is a topic of great consequence. As Steve himself has reminded us again and again over the last two years, these are extraordinarily dangerous times, and the very future of our republic may hang in the balance. We believe that at this pivotal moment in our history, words do have power and they do have consequences. Don't miss Steve's final appearance on the podcast. April Ryan is an award winning journalist, veteran White House Correspondent, and best selling author. And by reporting from inside the Trump White House, she’s come under fire -- just for doing her job . We talk to April about what it was like to cover the White House under Presidents Clinton, Bush, Obama - and now how and why she’s come under attack by Donald Trump and his press office. The 35-day federal government shutdown may be over - for now - but the long terms effects will be felt by hard working Americans for months and perhaps years to come. $200 million in spending per week was lost not only by federal workers, but contractors and the people working in businesses that count on those dollars to survive. Elise and Steve discuss the political fallout from Donald Trump’s PR stunt gone horribly wrong. The longest government shutdown in US history continues as Donald Trump and Senate Republicans continue to hold the paychecks of more than 800,000 Americans hostage in exchange for an unnecessary and ineffective border wall. Elise and Steve discuss the politics of the latest Trump created crisis - as well as how the 2020 Democratic field is shaping up. Professor Eddie Glaude Jr. argues in his groundbreaking book Democracy in Black that we live in a country founded on a “value gap”—with white lives valued more than others—that still distorts our politics today. Whether discussing why all Americans have racial habits that reinforce inequality, why black politics based on the civil-rights era have reached a dead end, or why only remaking democracy from the ground up can bring real change, Professor Glaude crystallizes the untenable position of black America--and offers thoughts on a better way forward. Forceful in ideas and unsettling in its candor, Democracy in Black is a landmark book on race in America. We are proud to put "Democracy in Black" by Professor Eddie S. Glaude Jr. into the Words Matter Audible Library. Part manifesto, part history, part memoir, Professor Glaude argues that we live in a country founded on a “value gap”—with white lives valued more than others—that still distorts our politics today. Whether discussing why all Americans have racial habits that reinforce inequality, why black politics based on the civil-rights era have reached a dead end, or why only remaking democracy from the ground up can bring real change, Professor Glaude crystallizes the untenable position of black America--and offers thoughts on a better way forward. Forceful in ideas and unsettling in its candor, "Democracy In Black" is a landmark book on race in America. Welcome to Season 2 of Words Matter. The federal government is still shutdown, House Speaker Nancy Pelosi is the only adult in the room and the race for the 2020 Democratic presidential nomination is off to a fast start. Steve Schmidt gives his take and explains what it all means. As our first season comes to a close, we review the titles put into the Words Matter Audible Library in 2018. From Steve Kornacki’s “The Red and the Blue”, to “Profiles in Courage” to “Columbine” to “Tailspin” by Steven Brill - we go through the books we selected and why they are important to the public discourse in the Age of Trump. In this addition of the Words Matter Library brought to you by Audible we add this Pulitzer Prize winning book by President John F. Kennedy. Profiles in Courage chronicles acts of bravery and integrity by 8 United States Senators. Caroline Kennedy and John F. Kennedy Jr. narrate the story of leaders who defied their party and their constituents to do what they felt was right and as a result suffered severe criticism and significant losses. Would Nixon have survived if Fox News was around in 1974? Author of the “Loudest Voice in the Room,” Gabe Sherman explains how the GOP propaganda network was forged in the aftermath of Watergate - and how it’s now prepared to protect Donald Trump against all enemies- real and imagined. This week we add Gabriel Sherman’s “Loudest Voice in the Room” to the Words Matter Audible Library. This astonishing inside story of Fox News, details how Roger Ailes created the most powerful media and political business in the world and divided a country in the process. In his “Swamp Chronicles” series for the New Yorker, Adam Davidson follows the money of Donald Trump, his family, his Administration, and his business associates. From Azerbaijan to Scotland to Florida - Adam explains how the Trump Organization looks more like a money laundering scam than a legitimate business operation. This week we add “TrumpNation the Art of Being Donald Trump” to the Words Matter Audible Library. Find out why this comprehensive and definitive biography Donald Trump sued author Tim O’Brien for $5 billion. (Spoiler alert: Trump lost.) Get this must listen title from Audible - now! George H. W. Bush was a man of honor, courage, integrity and kindness. The last of the "greatest generation" to serve as Commander-in-Chief, the 41st President of the United States will be remembered for many things -- not the least of which is his humanity. Few "great" people are also "good" people, George H. W. Bush was both -- and he will be missed. This week we are proud to add “41 - A Portrait of My Father” by George W. Bush to the Words Matter Audible Library. This important and moving presidential biography by a presidential son is a must read to understand the both the 41st and the 43rd Presidents. In a knockdown, drag out, exceptionally nasty runoff election for a US Senate seat - Democrats in Mississippi came much closer than anyone expected. Elise talks about the brutal campaign and the changing politics of her home state. This week we add “Tailspin: The People and Forces Behind America's Fifty-year fall--and Those Fighting to Reverse It” to the Audible Words Matter Library. The latest book by award-winning journalist and best-selling author Steven Brill is a brilliant analysis of how and why major American institutions no longer serve us -- causing a deep rift between a vulnerable majority and the protected few. And at the same time, Mr. Brill gives us hope by explaining how some individuals and organizations are laying the foundation for real, lasting change. David Priess is a former CIA officer and presidential briefer, his new book “How to Get Rid of a President” tells the history of the political dark arts in action. In the nation's highest office we see election dramas, impeachments, assassinations, natural death in office, mixed with party intrigue, personal betrayal, and backroom deal making. David explains how presidents can be sidelined without being removed from office. An essential Audible title for any political junkie in the Age of Trump. This week we add "How to Get Rid of a President" by David Priess to the Audible Words Matter Library. A former CIA officer and presidential briefer, Priess tells the history of the political dark arts in action. In the nation's highest office we see election dramas, impeachments, assassinations, natural death in office, mixed with party intrigue, personal betrayal, and backroom deal making. An essential Audible title for any political junkie in the Age of Trump. This week we added "Landslide" by Jonathan Darman to the Audible Words Matter Library. In this riveting work of narrative nonfiction, Jonathan tells the story of two giants of American politics, Lyndon Johnson and Ronald Reagan, and shows how, from 1963 to 1966, these two men—the same age, and driven by the same heroic ambitions—changed American politics forever. This engaging title is a MUST Listen. This week we add "Landslide" by Jonathan Darman to the Audible Words Matter Library. In this riveting work of narrative nonfiction, Jonathan tells the story of two giants of American politics, Lyndon Johnson and Ronald Reagan, and shows how, from 1963 to 1966, these two men—the same age, and driven by the same heroic ambitions—changed American politics forever. This engaging title is a MUST Listen. The 2018 Midterms keep going. In what was perhaps the most important Midterm Congressional Election in American history, voters put a check on Donald Trump and gave Democrats a solid majority in the House of Representatives. And almost a week later, some key races still haven't been decided. Steve and Elise talk about what happened, what's happening and what it means for the country going forward. Within hours of Democrats regaining control of the House of Representatives, Donald Trump holds an explosive East Room press conference and fires the Attorney General - replacing him with an unconfirmed political hack. Elise, Steve and Adam discuss the gathering storm of constitutional crisis. It is the most important midterm election in US history. On Tuesday Americans will either repudiate or validate Donald Trump and Trumpism. Elise and Steve look at the closing arguments on both sides and what’s at stake in Tuesday’s monumental election. 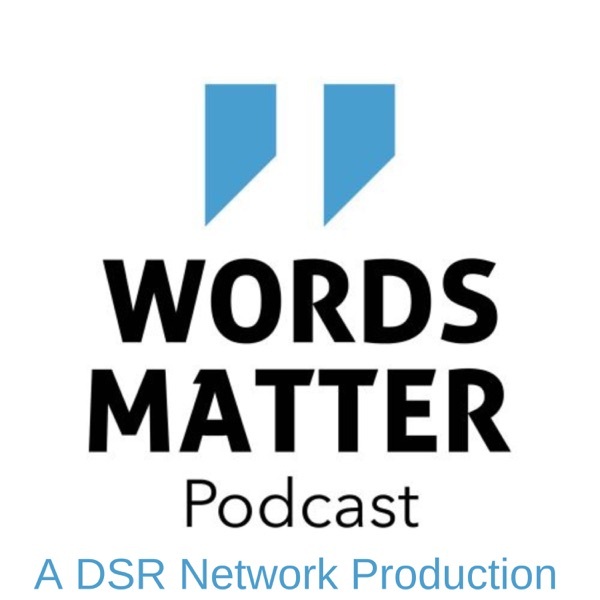 In this episode of the Words Matter Library brought to you by Audible, Elise interviews award winning journalist and author David Cullen about his New York Times best seller, "Columbine." They discuss the evolution of mass shootings and how these tragedies fit into today’s politics. Audible - because Words Matter. As Americans prepare to vote in the most important Midterm election in our 242 year history, we sit down with legendary actor, director, producer, writer and activist Rob Reiner -- someone who knows a thing or two about politics, social unrest, culture wars, and taking on a racist, misogynistic, anti-Semitic bigot from Queens. And we take a look back at an iconic book and something America needs now more than ever -- "Profiles in Courage" by John F. Kennedy. Elise talks with Lord Ashcroft about the new round of Ashcroft in America research leading up to November's midterm elections - and about his new book "White Flag? An Examination of the UK's 'Defence Capability." Vanity Fair’s Emily Jane Fox talks about her best selling book “Born Trump.” From Ivanka to Don Jr. to Eric, Tiffany and Barron - Emily tells us what really goes on inside America’s First (dysfunctional) Family. Like his father, Donald Trump, had 5 children -- hoping that at least one would "turn out like him." Elise and Steve add "Born Trump: Inside America's First Family" by Vanity Fair's Emily Jane Fox to the Words Matter Library brought to you by Audible. Elise and Steve put Tom Ricks’ “Churchill and Orwell: The Fight for Freedom” into the Words Matter Library. Pulitzer Prize winning author Tom Ricks provides a fresh look at Winston Churchill and George Orwell in the Age of Trump. Both Churchill and Orwell demonstrated vision and courage as they embodied the idea that words do matter. Tom Ricks masterfully chronicles their separate, yet contemporaneous, fight against the evils of totalitarianism. Description: The 1990s saw the birth of modern political tribalism. Steve Kornacki’s important new book, “The Red and The Blue,” explores the battles between Bill Clinton and Newt Gingrich and how they lead to the partisan warfare we see today. Words Matter Library: Steve Kornacki’s "The Red and The Blue: The 1990s and the Birth of Political Tribalism." In a new segment we put Steve Kornacki’s The Red and The Blue in the the Words Matter Library brought to you by Audible. Today, America is deeply divided - you either live in Red America or Blue America. Steve Kornacki of NBC News takes us back to the 1990s to find the birth of political tribalism in The Red and The Blue. LIVE from the 92nd Street Y. In their first interview in front of an audience - Elise and Steve talk with former US Attorney for the Southern District of New York, Preet Bharara about crime, corruption and the rule of law in the Age of Trump. Elise and fellow native, Professor Eddie Glaude, are back home in Mississippi and interview U.S. Senate candidate Mike Espy. They’ll talk trade, tariffs and what it’s like to run for office in age of Trump. Will Secretary Espy become the first Democrat in 30 years, and the first African American in over 100 years to represent Mississippi in the United States Senate? Elise talks with Former Homeland Security Secretary Jeh Johnson about the 17th anniversary of the September 11th attacks. Secretary Johnson reflects on the Russian hacking of the 2016 presidential election and explains why the United States may not be ready to protect against the same kind of interference in the 2018 midterm elections. And Steve has the final word on the New York Times anonymous opinion author - is this the work of an “adult in the room” or a “Trump enabler”? John McCain was a decorated war hero, a maverick Senator and the 2008 Republican presidential nominee. He lived by a set of values and principles that transcended politics and party. McCain loved his country and served it with valor, courage and integrity for 60 years. Elise and Steve reflect on the life and legacy of this great American leader. Elise and Steve talk to "TrumpNation" author Tim O’Brien about how he beat Donald Trump in a $5 billion lawsuit. Tim talks about what it's like to watch Trump when he's caught lying under oath. They discuss the Trump bankruptcies, the Russia connections, and what's really behind Donald Trump's deep and dangerous insecurities. Donald Trump promised that he would hire "all the best people" for his Administration. Elise explains how Trump's attacks on Omarosa expose his twisted values and blatant corruption. Steve Schmidt explains how the party of Abraham Lincoln, Teddy Roosevelt, and Ronald Reagan has become the single greatest threat to liberty, freedom and human rights under Donald Trump. Then, Elise Jordan remembers Heather Heyer and reflects on the 1st Anniversary of the violent white-supremacist rally in Charlottesville. On the 1st anniversary of Charlottesville, Elise Jordan reflects on one of the darker moments in recent history. Elise pays tribute to Heather Heyer, the peaceful protester who was murdered during a violent White Supremacist rally one year ago this weekend. Welcome to "Words Matter" with Elise Jordan and Steve Schmidt. Our goal here is to promote reality. As a wise man once said, "Everyone is entitled to their own opinion, not their own facts." Words have power and they have consequences. In this episode we will explore the questions: How did we arrive at this political moment? Will the Republican Party and the conservative movement survive President Trump and Trumpism? And if the GOP survives, what does it look like and who leads it? We will explore these questions with "Firing Line" host and conservative author Margaret Hoover. On this sneak preview of "Words Matter," Elise Jordan gives us a look at what she and co-host Steve Schmidt have in store for their new weekly podcast. "Words Matter" debuts August 6th. New episodes Mondays.